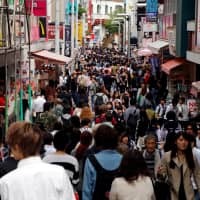 Japan’s economy is likely experiencing its longest expansion phase since the end of World War II amid solid domestic demand and a tightening labor market, the government said Tuesday. But in the same economic report for January, the Cabinet Office, which helps coordinate government policy, cut its monthly assessment of exports for the first time in three months due to the trade war between the United States and China in a warning that the fallout is spreading to Japan. 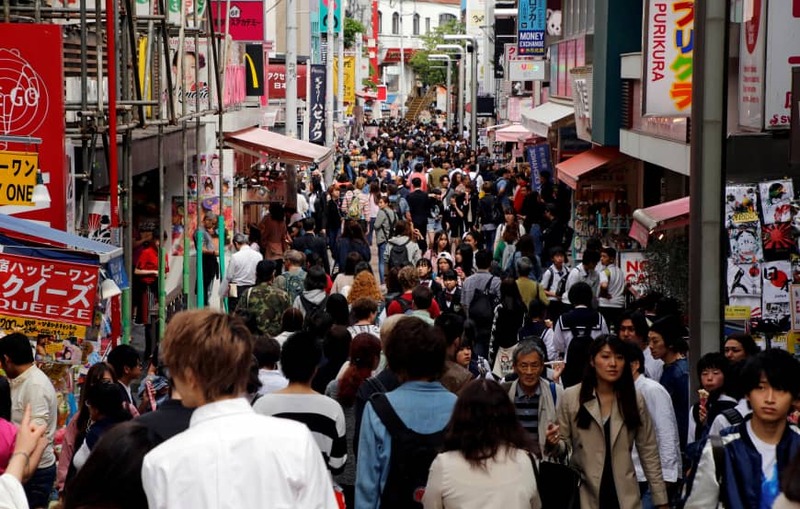 The Japanese economy is thought to have counted its 74th consecutive month of improvement since December 2012 under Prime Minister Shinzo Abe, though there is persistent criticism that consumers have yet to feel the benefits as wage gains remain tepid. Toshimitsu Motegi, minister for economic and fiscal policy, told a Cabinet meeting the economy has likely surpassed the previous longest expansion between February 2002 and February 2008, also known as the Izanami Boom, named after a goddess in Japanese mythology. In roughly a year from now after conducting a comprehensive review of more data, a government panel will formally decide whether the boom has indeed extended the record. Robust exports and business investment have been the main drivers of growth under Abe’s economic policies focusing on drastic monetary easing and fiscal spending. His Liberal Democratic Party will seek to tout the success of Abenomics ahead of local elections in April and Upper House elections in the summer. But gross domestic product has grown a real 1.2 percent on average during the current expansionary phase, lower than the 1.6 percent during the previous boom. Private consumption remains on a weak note as wage increases remain slow despite companies chalking up record profits. Motegi, who belongs to the LDP, was quick to point out that the economy had added 3.75 million jobs in that time, nearly four times as many as during the Izanami Boom and approaching that of the asset bubble economy of the late 1980s and early ’90s. The government will implement measures to “extend the current expansion and make the benefits felt more strongly,” he said. Despite the record-setting implications, the Cabinet Office report was somewhat downbeat on the economy, saying exports are “in a weak tone” as demand from Asia for technology products waned. It also warned of risks abroad including heightened trade tensions between the United States and China and a slowdown in the Chinese economy. Year-on-year gains in core consumer prices, excluding volatile fresh food items, have slowed to 0.7 percent despite the Bank of Japan’s efforts to hit 2 percent inflation.